Travel+Leisure Magazine says, “Simply the Best.” Honored by The Silver Spoon. Cafe Santa Fe in historic downtown Todos Santos has been handcrafting first rate, authentic Italian food in a beautifully renovated 1850’s building for over 20 years. My favorite restaurant in Baja-for the past 20 years! Hello Ezio and Paula – https://www.facebook.com/groups/CafeSantaFeTodosSantos/ is the unofficial FB page for Cafe Santa Fe – it is a beautiful restaurant and I STRONGLY recommend visiting it to anyone travelling in BCS / Cabo San Lucas / Todos Santos or La Paz! 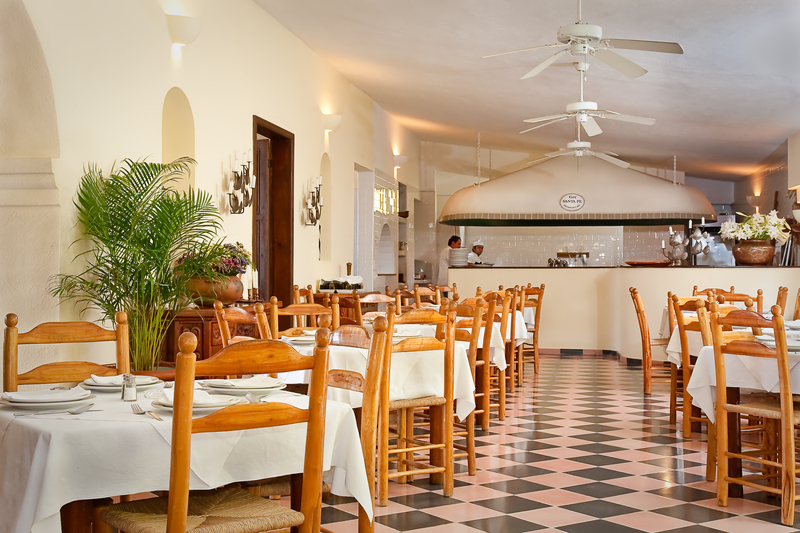 My family and I have been coming to this restaurant for so many years , we must drive there every visit to eat this amazing Italian Meal in Mexico..it is as if you are in Tuscany … you must go!!!!! The best meal we had the whole trip!! Highly recommend this restaurant!! The ambiance and food was wonderful!! My husband and I have been traveling from Cabo to Todo for years on our trip to Todos last week we ask our Inn keeper where is the best retaurant in town. He said Cafe Santa Fe and boy was he right. I can honestly say it is some of the best food I have experienced anywhere. I would share this jem with anyone traveling to Todos Santos, B.C.S. reciepe for the Gamberoni in garlic sauce? The best dish i have ever had in my 40 yrs of travels. I may move there just for Todos Santos and this restaurant. It was made with sage butter and extremely light. What was this fish?? So humble gracious hosts! What was the fish with sage butter. The melt in your mouth fish?? Our meal was marvelous! The freshest and most flavorful carpaccio we’ve ever had! This restaurant is a must when visiting the Baja. The best Restaurant in Baja !! Love Their lobster ravioli and the Mediterranean salad !! We always go there from Cabo at least 3 times a month !! Always when we are coming back from La PAZ yachting we stop on our way back to Cabo. Live it. Love it. We laughed the first time we heard this was the best Italian food in North America. But after several visits, we are believers. From the wine, to the bread, to the cheese, to the pasta and the superb service. This is the place to go…love it!! !